No one’s denying that the actors who’ve played the thirteen Doctors so far over Doctor Who‘s history have been terrific in the role, but it’s fascinating to think about the Time Lords that got away. Those actors who were asked to portray the iconic hero but snubbed their nose at the chance to play a beloved alien, for whatever reason. 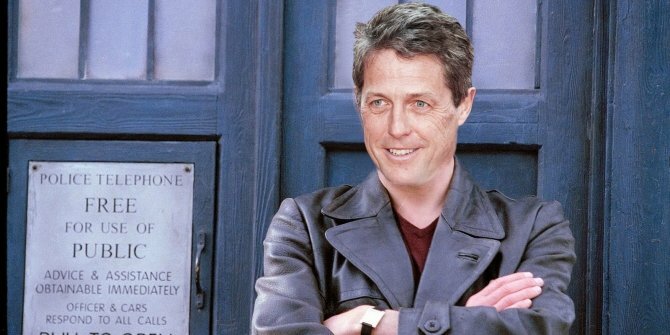 One of those is Hugh Grant, who former Doctor Who showrunner Russell T. Davies was desperate to have in the role of the Ninth Doctor back in 2005. The world-famous Brit, known for romcoms such as Love, Actually and Notting Hill, turned the opportunity down. But that didn’t stop Davies from wanting to work with Grant on a different project someday. He’s now finally got his chance, as Davies cast the actor in the lead of his new BBC drama A Very English Scandal. While speaking to iNews about the project, he brought up how much he admires Grant and mentioned that he talked with him about wanting him to play the Doctor, which Grant was apparently oblivious to. It’s a little odd that Grant knew nothing about Davies wanting him to star in Doctor Who. Back in 2007, he spoke about his regret at rejecting the offer and explained that once he saw how good the revival of the show was, he thought “‘Damn, that was good, why did I say no? '” I guess he’s had a busy career in the past ten years, so he’s forgotten all about it. Even though Grant didn’t play the role, we still got a taste of how he might portray the Doctor thanks to 1998 Doctor Who Comic Relief skit “The Curse of Fatal Death,” which saw a bunch of famous stars – including Rowan Atkinson, his namesake Richard E. Grant and Joanna Lumley – as different versions of the Doctor. Give it a watch below!